It’s summertime. Seize the opportunity to do something new! Is there a new event or excursion that you could add to your calendar to make this month a little different from the others? Explore another part of town, take in a cultural festival, watch a performance, or do an arts activity. How will you explore the richness of Los Angeles this month? Big World Fun: Le Ballet Dembaya, Ford Amphitheatre, Hollywood, Saturday, June 30, 10:00 a.m. 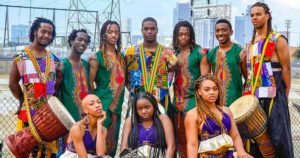 Le Ballet Dembaya will take you on a journey to the country of Guinea on the western coast of Africa through their uplifting and energetic percussion and dance. At pre-show activities starting at 9:00 a.m., kids can make bows and bowties from traditional African wax fabric as well as explore Los Angeles’ native wild animals, such as birds of prey, mammals, reptiles and amphibians, along the Ford’s entryway gardens. Perfect for children ages 4 to 12 and their families. Kids 12 and younger are admitted free; adults pay $5. Open seating, advanced reservations recommended. Visit website for more information. Little Tokyo Walking Tour, Japanese American National Museum, Downtown LA, Saturday, 6/30, 10:15 a.m. – 12:15 p.m. Relive history and learn about present-day Little Tokyo with JANM docents. Comfortable walking shoes are recommended. Weather permitting. $12 members, $15 non-members. Museum admission is included. Limited to 20 participants. Buy tickets here. Undiscovered Chinatown Highlighted Walking Tour, Downtown LA, Saturday, 6/30, 3:00 p.m. – 4:30 p.m. This highlighted walking tour is held in conjunction with the Chinatown Summer Nights event starting at 5 o’clock.Visit a temple, an herbal shop, art galleries, antique stores, and more when guided to the unique treasures–not to mention great bargains–to be found in Chinatown. Wear comfortable walking shoes and be prepared to wind your way through a myriad of alleyways, plaza stalls, and classical courtyards to discover the charm of L.A.’s Chinatown. RSVP here. Chinatown Summer Nights, Central Plaza, Downtown LA, Saturday, 6/30, 5:00 p.m. – 12:00 a.m. Part food event, part summer party, Chinatown Summer Nights presents an exciting hot spot for Angelenos during the summer. Taste the many culinary offerings of Chinatown and LA’s gourmet food trucks; sample the neighborhood’s wares; watch Chinese chefs perform cooking demonstrations; experience large-scale, outdoor video projections; take part in hands-on, Chinese cultural activities presented by local organizations and museums; sip on craft brews and dance in Central Plaza with 89.9 KCRW’s DJs! Chinatown Summer Nights will also take place July 28 and August 25. 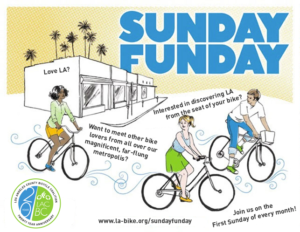 Sunday Funday: Tour of Santa Monica, Sunday, 7/1, 9:30 a.m. – 1:00 p.m. Join Los Angeles County Bicycle Coalition and Santa Monica Spoke for the first Sunday Funday of the summer season! They’ll be taking in the cool coastal air as they explore the Michigan Ave greenway and get a preview of the 17th St corridor! They’ll be starting out at the 26th Street / Bergamot Station on the Expo Line meeting at 9:30 a.m., rolling at 10:00 a.m. There will be stops and water breaks along the way and is a perfect way to meet people and discover new neighborhoods. RSVP here. This ride is a no-drop ride (no rider left behind) with LACBC Ride Marshals. Riders should be able to keep a 10-12 MPH pace, and cover 12-15 miles. Barnsdall Art Sundays, Junior Arts Center at Barnsdall Art Park, Hollywood/Los Feliz, Sunday, 7/1, 10:00 a.m. – 12:00 p.m. Every Sunday art instructors present a free art project featuring a different culture and media. All materials are provided. See website for more details. 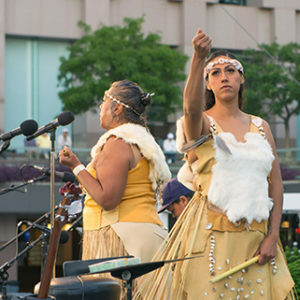 First Nations Now: Rhymes and Storytelling for Families, California Plaza, Downtown LA, Sunday, 7/1, 3:00 p.m. & 4:30 p.m. In conjunction with the First Peoples, New Voices series, MC RedCloud, Jessa Calderon, and Saginaw Grant (hereditary chief of the Sac and Fox Nation) will draw upon Indigenous elder and parental wisdom and traditions to share rhymes, words of wisdom, animal tales and origin stories from across Turtle Island. Family activities begin 30 minutes before each performance. Undiscovered Chinatown Walking Tour, Downtown LA, Saturday, 7/7, 10:30 a.m. – 1:00 p.m. Visit a temple, an herbal shop, art galleries, antique stores, and more when guided to the unique treasures–not to mention great bargains–to be found in Chinatown. Wear comfortable walking shoes and be prepared to wind your way through a myriad of alleyways, plaza stalls, and classical courtyards to discover the charm of L.A.’s Chinatown. RSVP here. 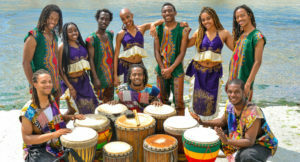 Family Amphitheater Performances: Le Ballet Dembaya, Skirball Cultural Center, Los Angeles, Saturday, 7/7, 12:00 p.m. & 2:00 p.m. With Guinea being their primary country of study, Le Ballet Dembaya practices traditional percussive rhythms, typically played on djembe and dundun drums, accompanied by intricate, polyrhythmic dances from various regions throughout West Africa. In hopes of preserving a beautiful cultural tradition, Dembaya’s members have dedicated themselves to studying and mastering this art, while exposing its powerful healing qualities. Included with museum admission, no reservations. 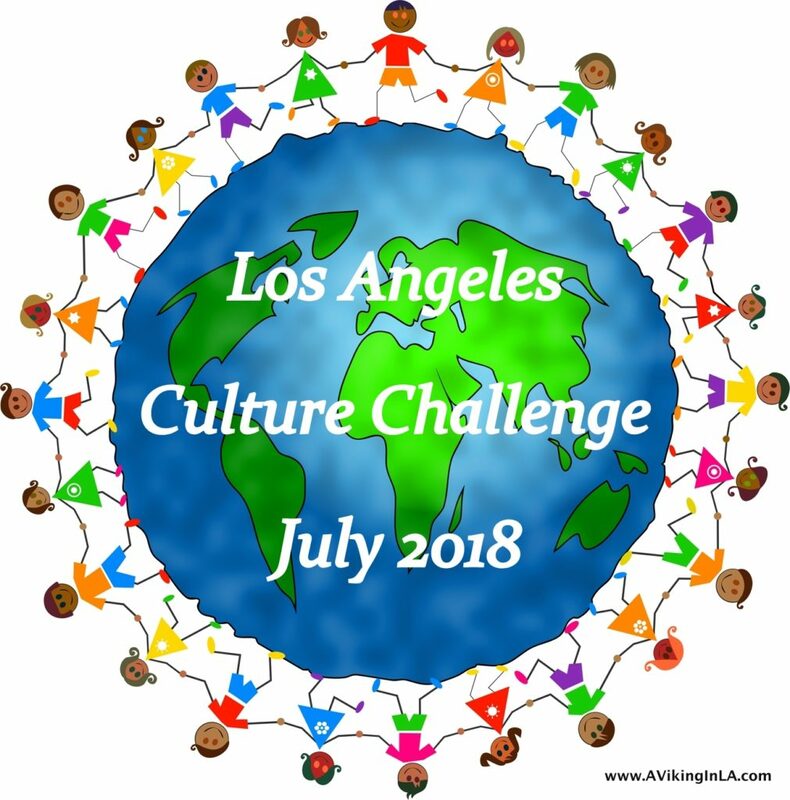 Barnsdall Art Sundays, Junior Arts Center at Barnsdall Art Park, Hollywood/Los Feliz, Sunday, 7/8, 10:00 a.m. – 12:00 p.m. Every Sunday art instructors present a free art project featuring a different culture and media. All materials are provided. See website for more details. Family Amphitheater Performances: Bula, Skirball Cultural Center, Los Angeles, Sunday, 7/8, 12:00 p.m. & 2:00 p.m. Bula takes the amphitheater stage with Puerto Rican bomba music and dance. 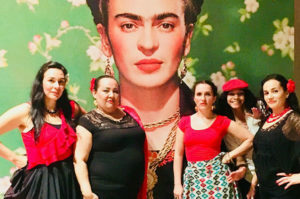 Started by Melody González and Hector Rivera, both previous recipients of Alliance for California Traditional Arts grants, the group strives to unite practitioners throughout the diaspora for educational presentations, performances, and community building. Included with museum admission, no reservations. 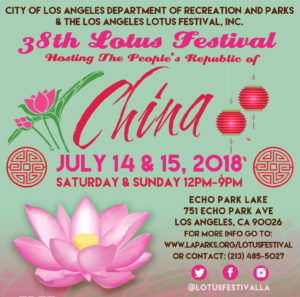 38th Lotus Festival, Echo Lake Park, Los Angeles, Saturday, 7/14, and Sunday, 7/15, 12:00 p.m. – 9:00 p.m. Come take in the 38th annual Lotus Festival this year hosting the People’s Republic of China. Free entertainment for the whole family! Enjoy a food court, Chinese Pavilion, silent auction, children’s area, handcrafted artwork, gift bazaar, Japanese teahouse ceremonies, Japanese origami workshop, and dragon boat races. Visit website to see the entertainment schedule for both days and a map of festival grounds. Free parking and shuttles at Logan/Montana and Temple/Glendale. 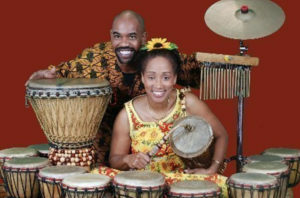 Family Amphitheater Performances: Ina Buckner-Barnette and Chazz Ross, Skirball Cultural Center, Los Angeles, Saturday, 7/14, 12:00 p.m. & 2:00 p.m. Sing, drum, and “spread your wings” with Ina Buckner-Barnette (“The Sunshine Storyteller”) and Chazz Ross on a global storytelling adventure entitled We’re Better Together. Traverse the world with their multicultural stories, rhythms, and sounds. Their twenty-six djembe drums guarantee audience fun! Included with museum admission, no reservations. Barnsdall Art Sundays, Junior Arts Center at Barnsdall Art Park, Hollywood/Los Feliz, Sunday, 7/15, 10:00 a.m. – 12:00 p.m. Every Sunday art instructors present a free art project featuring a different culture and media. All materials are provided. See website for more details. Family Amphitheater Performances: Pinkturban Multibandi, Skirball Cultural Center, Los Angeles, Sunday, 7/15, 12:00 p.m. & 2:00 p.m. These eclectic musicians—from the world music–inspired electronic record label Pinkturban—join forces to create a unique blend of Bengali folk, Indian classical, Bollywood, and electronic dance music. 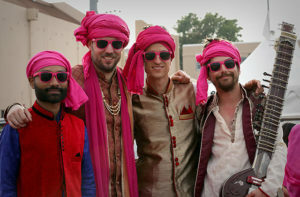 Dressed in their finest kurtas and iconic pink turbans, the Multibandi have become notorious for their diverse blend of cultural and musical influences and their shared mission for peace. Wherever they go, they always deliver, they usually bring glow-sticks, and they always bring the party. Included with museum admission, no reservations. Family Amphitheater Performances: Dana Maman & Friends, Skirball Cultural Center, Los Angeles, Saturday, 7/21, 12:00 p.m. & 2:00 p.m. 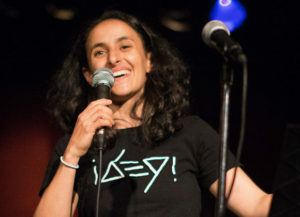 Entitled Ba’it, which means “home” in Hebrew, this performance by Dana Maman is an exploration of the different music, dances, and cultural expressions collected through immigration. Maman’s journey begins in Israel, the land of her parents, with musical influences from both Morocco and Iran. The story then continues to Brazil via Africa and finally concludes in the comfort of her home in America. Included with museum admission, no reservations. Barnsdall Art Sundays, Junior Arts Center at Barnsdall Art Park, Hollywood/Los Feliz, Sunday, 7/22, 10:00 a.m. – 12:00 p.m. Every Sunday art instructors present a free art project featuring a different culture and media. All materials are provided. See website for more details. 2018 Long Beach Dragon Boat Festival , Marine Stadium, Long Beach, Saturday 7/28, & Sunday, 7/29. In addition to hosting one of the largest dragon boat competitions in California, there will be Chinese traditional art demonstrations, Chinese acrobats, traditional dance, hip hop, music, and martial arts performances. Dragon boat racing is an amateur water sport that has its roots in an ancient folk ritual held over the past 2,000 years throughout southern China. Come for fun, food, and excitement! 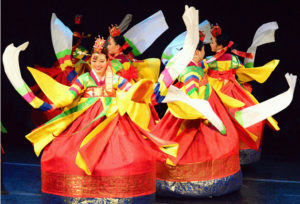 Big World Fun: Kim Eung Hwa Korean Dance Company, Ford Amphitheatre, Hollywood, Saturday, 7/28, 10:00 a.m. Experience the grace and beauty of Korea with Kim Eung Hwa Korean Dance Company. With their colorful costumes, vibrant music and elegant dance moves, this renowned dance troupe will perform traditional Korean dance and music – a true feast for the senses. At pre-show activities starting at 9:00 a.m., kids can make a kaleidoscope inspired by the dancers’ colorful costumes as well as explore Los Angeles’ native wild animals, such as birds of prey, mammals, reptiles and amphibians, along the Ford’s entryway gardens. Perfect for children ages 4 to 12 and their families. Kids 12 and younger are admitted free; adults pay $5. Open seating, advanced reservations recommended. Visit website for more information. 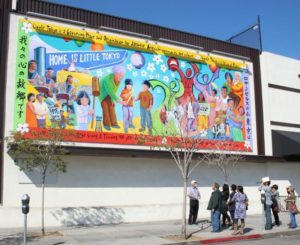 Little Tokyo Walking Tour, Japanese American National Museum, Downtown LA, Saturday, 7/28, 10:15 a.m. – 12:15 p.m. Relive history and learn about present-day Little Tokyo with JANM docents. Comfortable walking shoes are recommended. Weather permitting. Buy tickets in advance. Cost is $12 members, $15 non-members. Museum admission is included. Limited to 20 participants. Takes place every last Saturday of the month. Family Amphitheater Performances: One Grain of Sand Puppet Theater, Skirball Cultural Center, Los Angeles, Saturday, 7/28, 12:00 p.m. & 2:00 p.m. Celebrate the strength and beauty of LA’s cultural diversity with Roar! 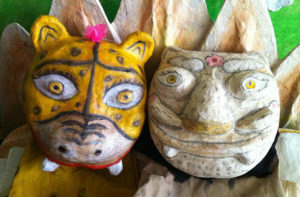 Tiger, a fun-filled puppet show about friendship by One Grain of Sand Puppet Theater. In the show, a curious young Korean tiger travels the world and meets a jaguar from the Americas. But the two animals run into trouble because they can’t understand each other. How will they learn to overcome their differences and get along? This tabletop puppet show uses a mix of folk art–style puppets with live drumming. Performed in English, Korean, and Spanish. Included with museum admission, no reservations. Undiscovered Chinatown Highlighted Walking Tour, Downtown LA, Saturday, 7/28, 3:00 p.m. – 4:30 p.m. This highlighted walking tour is held in conjunction with the Chinatown Summer Nights event starting at 5 o’clock. Visit a temple, an herbal shop, art galleries, antique stores, and more! The 1 1/2 hour walking tour takes visitors to a number of off-the-beaten-track points of interest and will guide those interested in shopping to some of Chinatown’s best bargains and its trendiest shops. Wear comfortable walking shoes and be prepared to wind your way through a myriad of alleyways, plaza stalls, and classical courtyards to discover the charm of L.A’s Chinatown. For those interested, please rsvp online here. 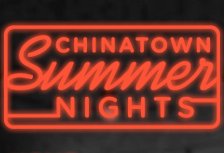 Chinatown Summer Nights , Downtown LA, Saturday, 7/28, 5:00 p.m. – 12:00 a.m. Part food event, part summer party, Chinatown Summer Nights presents an exciting hot spot for Angelenos this summer. Taste the many culinary offerings of Chinatown and LA’s gourmet food trucks; sample the neighborhood’s wares; watch Chinese chefs perform cooking demonstrations; experience large-scale, outdoor video projections; take part in hands-on, Chinese cultural activities presented by local organizations and museums; sip on craft brews and dance in Central Plaza with 89.9 KCRW’s DJs! The last Chinatown Summer Nights for this summer will take place August 25. Barnsdall Art Sundays, Junior Arts Center at Barnsdall Art Park, Hollywood/Los Feliz, Sunday, 7/29, 10:00 a.m. – 12:00 p.m. Every Sunday art instructors present a free art project featuring a different culture and media. All materials are provided. See website for more details. Family Amphitheater Performances: Santa Monica Youth Orchestra, Skirball Cultural Center, Los Angeles, Sunday, 7/29, 12:00 p.m. & 2:00 p.m. This year, Santa Monica Youth Orchestra’s Opus 5 Music Camp takes the Skirball amphitheater stage for their final performance, “Songs of the Land: Exploring the Many Voices of Our World through the Arts.” The camp hosts musicians from France, China, Russia, and the Pan African Youth Orchestra of Ghana to work with students from all over LA to build community and learn musical styles from one another. Included with museum admission, no reservations. Lucky Diaz and the Family Jam Band – Nom, Nom, Nom, California Plaza, Downtown LA, Sunday, 7/29, 3:00 p.m. & 4:30 p.m. The bilingual kindie music superstars return with a tasty and educational performance highlighting healthy eating. You’ll hear how Goldilocks and the Three Bears got their food portions just right, what to pack in Little Red Riding Hood’s healthy picnic basket, and more.